11 Health Benefits of Spinach | Eat This! 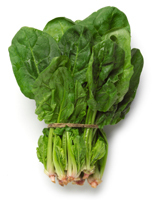 It is difficult to overestimate the nutritional powerhouse that is spinach. Here are eleven health benefits of spinach. 1 Comment on "11 Health Benefits of Spinach"
Thanks for posting the health benefits of spinach. I will eat more now!